DWI-FLAIR mismatch has been recently proven to identify patients with unknown onset stroke (UOS) eligible for thrombolysis. 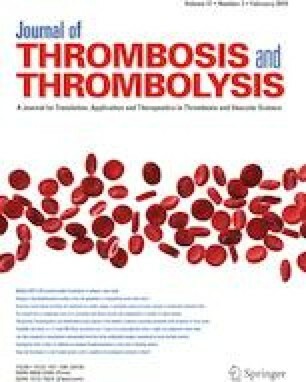 However, this concept may exclude patients from thrombolysis who may eventually benefit as well. We aimed to examine the feasibility, safety and potential efficacy of thrombolysis in wake-up stroke (WUS) and UOS patients using a modified DWI-FLAIR mismatch allowing for partial FLAIR positivity. WUS/UOS patients fulfilling the modified DWI-FLAIR mismatch and treated with intravenous thrombolysis (IVT) were compared to propensity score matched WUS/UOS patients excluded from IVT due to FLAIR positivity. The primary endpoint was a symptomatic intracranial hemorrhage (SICH), the secondary endpoints were improvement of ≥ 4 in NIHSS score and mRS score at 3 months. 64 IVT-treated patients (median NIHSS 9) and 64 controls (median NIHSS 8) entered the analysis (p = 0.2). No significant difference in SICH was found between the IVT group and the controls (3.1% vs. 1.6%, p = 0.9). An improvement of ≥ 4 NIHSS points was more frequent in IVT patients as compared to controls (40.6% vs. 18.8%, p = 0.01). 23.4% of IVT patients achieved a mRS score of 0–1 at 3 months as compared to 18.8% of the controls (p = 0.8). SICH, improvement of NIHSS ≥ 4 and mRS 0–1 at 3 months were comparable in thrombolyzed patients with negative FLAIR images versus those thrombolyzed with partial positive FLAIR images (3% vs. 3%, p = 0.9; 40% vs. 41%, p = 0.9; 19% vs. 22%, p = 0.8). Our study signalizes that thrombolysis may be feasible in selected WUS/UOS patients with partial FLAIR signal positivity.